In this book, the author has clearly brought out the basics of Nadi and its ease of application. Most of his examples are taken from persons he has met personally and has watched their progress. His inclusion of Sun. Jupiter and Mars as self factor for males and Venus, Moon for females is a novelty. It has really brought home the finer points from different perspectives. While this approach has its positives, it limits the readings in terms of one’s relative. I was made aware of several Yogas which hitherto remained unknown to me. His longevity technique is unique and one of its kind. He has also managed to seamlessly blend Nadi and Parasari systems with ease. There is plenty more to come from his stables very soon. This is just the beginning and will prove to be an excellent book for people wanting to know the basics of Nadi and its practical applicability. He has covered the entire lifecycle of an individual from womb to tomb and has given techniques to understand, predict, and time various aspects of one’s life. I am given to understand that in several areas, he is doing extensive research and will delight us soon with his findings. I am positive that this book will prove to be a handbook for people trying to understand and probe deeper into Nadi. I am sure that the readers will enjoy the straight-to-the-point style of writing. He does not waste his breath on needless meanderings and hones in on the essence very rapidly and with effortless ease. I take this opportunity to wish him a successful future and urge him to bring forth the findings of his research as a sequel to this book very soon. Born in a Brahmin family in a small city in Gujarat state India in 1959, Jitendra Trivedi is a commerce graduate from Bombay University. He worked as a journalist with Indian Express Group Newspapers Group for 19 years. He begun his journey in astrology in 1980 and became proficient in the Parasari system and Nadi Astrology. 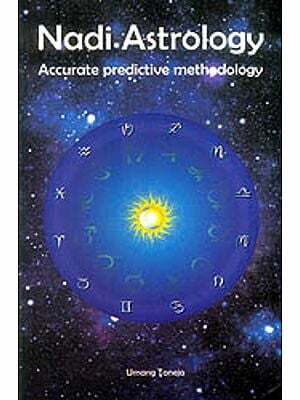 He introduced works of great astrologers of Gujarat to the world through Saptarishis Astrology. In this book he has presented his own Nadi research and study. When Sunil asked me to edit the Nadi work of Jitendra, it turned out to be a blessing in disguise. Not only did I get the opportunity to interact with a humble, nice person but also a person who had immense knowledge of Nadi and its nuances. We have travelled together for more than a year working on his work trying to clearly bring out the nuances, depth and beauty of this science. Anyone else but Jitendra would have been irritated by my needless questions, frequent requests for clarifications and several changes that I had requested in his exposition. He took it all with equanimity and went through the drill without any fuss. In this work, he has clearly brought out the basics of Nadi and its ease of application. Most of his examples have been taken from persons he has met personally and has watched their progress. 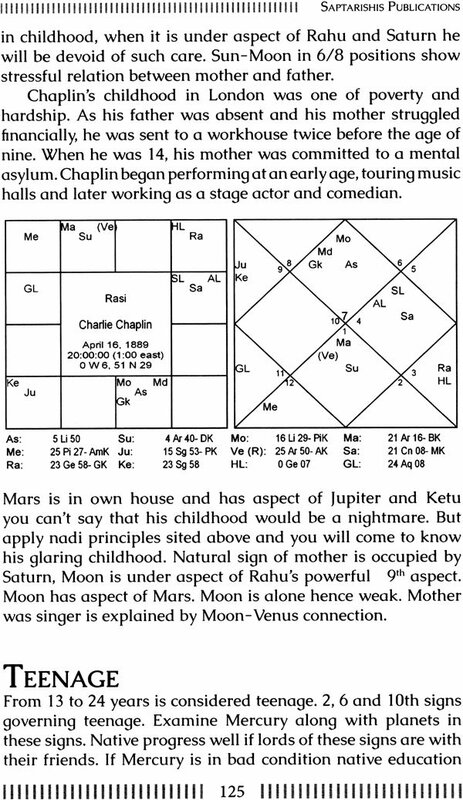 His inclusion of Sun, Jupiter and Mars as Self factors for Moles and Venus and Moon for Females is a novelty. It has really brought home the finer points from different perspectives. While this approach does have its positives, but limits the reading in terms of one's relative. I was made aware of several Yogas which remained hitherto unknown to me. His longevity technique is unique and one of its kind. He has also managed to seamlessly blend both the Nadi and the Parasari system with ease. There is plenty more to come from his stables very soon. This is just the beginning and will prove to be on excellent book for people wanting to know the basics of Nadi and its practical applicability. 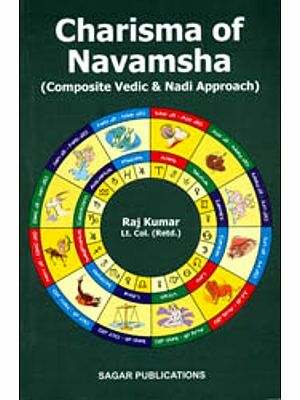 He has covered the entire life cycle of an individual from womb to tomb and has given techniques to understand, predict and time the various aspects of one's life. I am given to understand that in several areas, he is doing extensive research and will soon delight us with his findings. I am positive that this book will prove to be a handbook for people wanting to understand and probe deeper into Nadi. I am sure that readers will really enjoy the "straight to the point" style of his writing. He does not waste his breath on needless meanderings and hones in on the essence very rapidly and with effortless ease. I take this opportunity to wish him success in life and urge him to bring forth the findings of his research as a sequel to this book very soon. 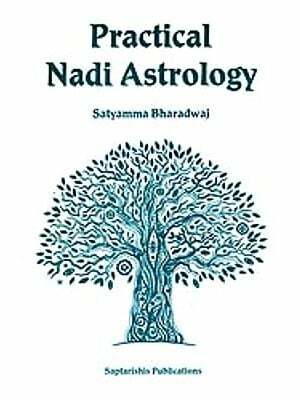 My first encounter with Nadi Jyotish was sudden and dramatic. I was listening to the stories of persons who had visited Nadi Centers and was very much fascinated. I also visited one Nadi Center with my friend but was told that my palm leaf is not with them and that they have to bring it from Sri Lanka. 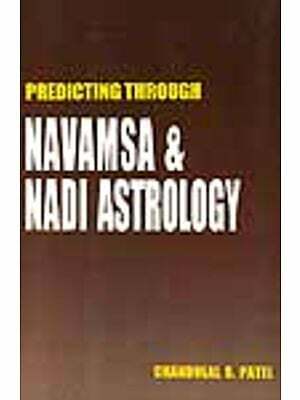 In 1998, B.V. Raman's Astrological magazine published predictions of one nadiamsha of Dhruv Nadi and Nav Nadi each. Meanwhile R. Santhanam published 3 volumes of Chandra Kala Nadi. I calculated my nadiamsha and waited for the prediction of my nadiamsha in the Astrological Magazine. 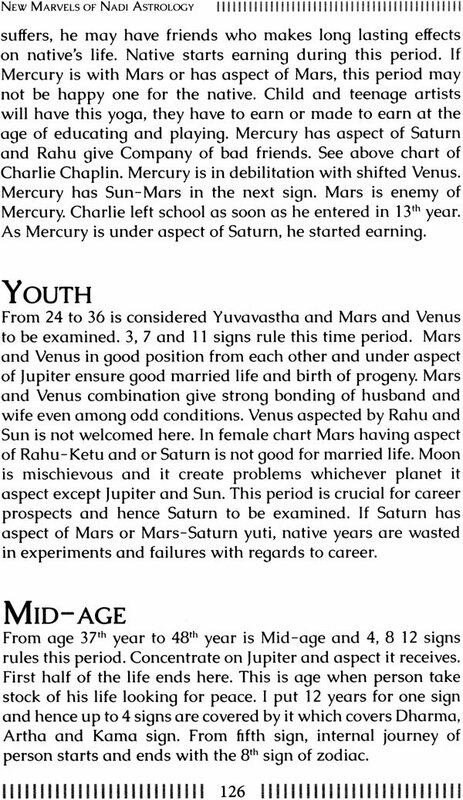 The day came, my birth is in Aveela nadiamsha and issue of Astrological Magazine published its prediction. I read the prediction and was stunned. 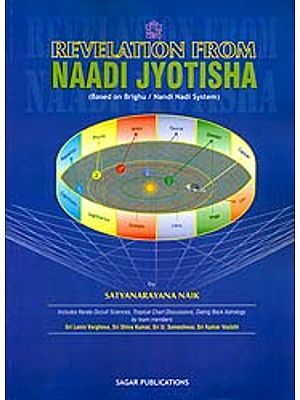 How only nadiamsha could give my life sketch, without considering the planetary positions? No doubt, that all the information given was not correct, but whatever facts were matching was simply marvelous such as "He is born in a small village, but lives in a city. He follows the profession of a journalist" (very true). In Dhruva Nadi it is written, that he will be born in a Brahmin family and will be eldest among co-borns. He will work as a translator in a press. This was very true as I worked as journalist in Indian Express Croup for more than 19 years and my work involved lot of translation work. My interest in Nadi grew and strengthened over the years. I was following Parashara and was quite good at it but Nadi gave me confidence and my prediction power increased many fold. In my journey of Nadi studies I came across Shri R.C. Rao works on Nadis. His work is superb. I salute him for imparting such knowledge and the basic rules in this book are his blessings. I also bow down to Nadi scientist Shri Prof. Dinesh Chandra Negandhi whose many articles on Nadi gave tremendous insight and prompted me to write this book. Dr. N. Shrinivasan Shastry has done marvelous work on Bhrigu Nadi. 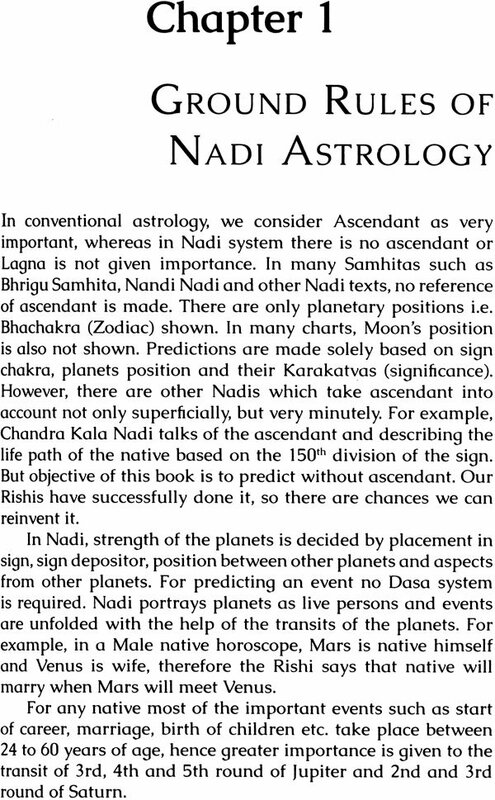 I have developed this system of prediction on the basis of Nandi Nadi and Bhrigu Nadi. I am accustomed to Parashara method, hence I felt that we should have a system which is based on Nadi but synergizes with the Parashara's way of prediction. Today many astrologers have started questioning relevance of ascendant. My one astrologer friend says "I never see Lagna. When chart is put forward to me I see the planet on which my first sight is set. I consider that house as Lagna and proceed". Another one says that I take the house which has maximum numbers of planets. I don't want to undermine the importance of ascendant here, but as our Rishis have done it, I too have contributed my efforts towards it. 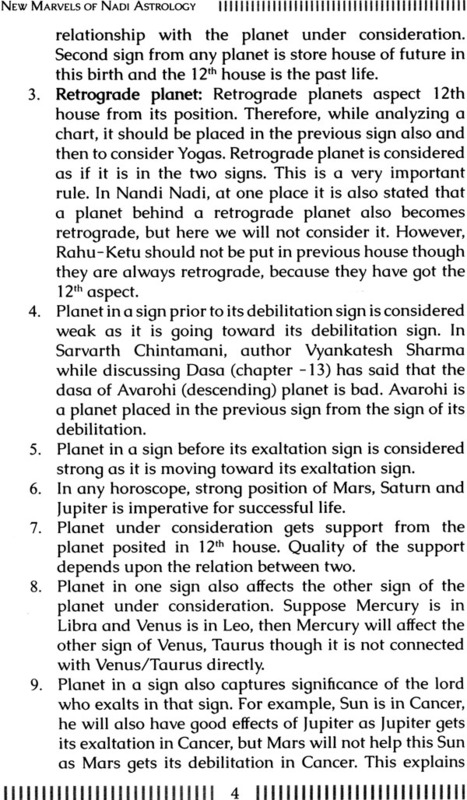 It will not be logical to spare the Lagna and minute Vargas of Vedic Astrology, but before going to Lagna and Varga (micro level) it will be appropriate to see the picture at a macro level. 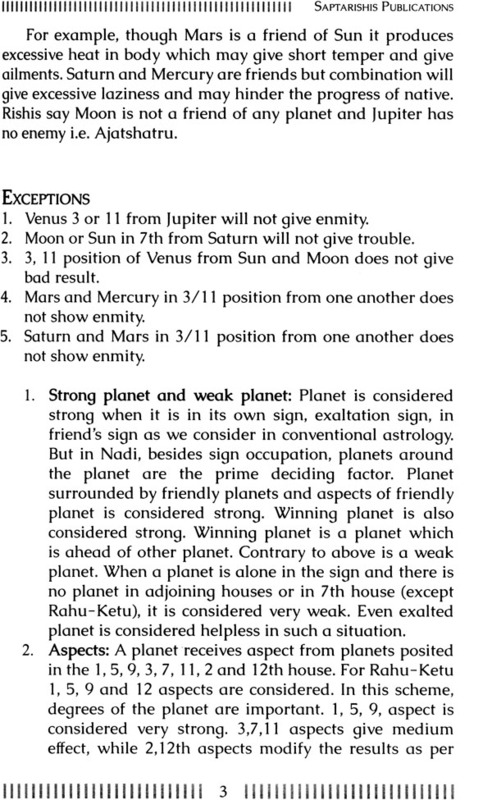 I know it is very dangerous to propagate an opinion that there is no need to see Lagna or Ascendant, because it will lead to messing with the established systems of astrology. What is needed however is how best we can integrate Nadi rules in our established system. Maitreya Muni said to Parashar Rishi "O Lord, in all Vedanga, Jyotish Shastra (astrology) is best, pious, benevolent and secret. It has three sections namely Ganita, Hora and Samhita. Among these three, Hora is most respectable hence I want to know Hora Section in detail. It will be appropriate to mention here what I realized after studying Nadis. One of the chief realization was that I was not giving due importance to the natural karakas. Also I did not know the full roles of these Karakas. Second realization was that before going to the complex rules of houses, lords and yogas, I should know the zodiac first. 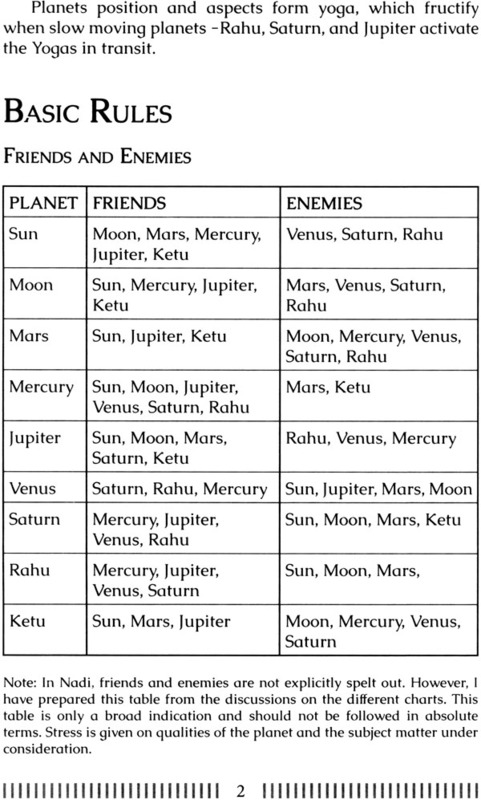 Planets travel through zodiac signs which have different attributes. Person in travel should know where the road is smooth, where a hump is and where the uphill is. Similarly, if you know the zodiac, you will know the outcome of planet's travel through signs. In that sense, study of Nadis is going back to the basics. For example, five Angas i.e Panchaga - Tithi, Vara, Nakshatra, Yoga and Karana. These five have profound effect on native's future, but how many of us take in account while predicting? 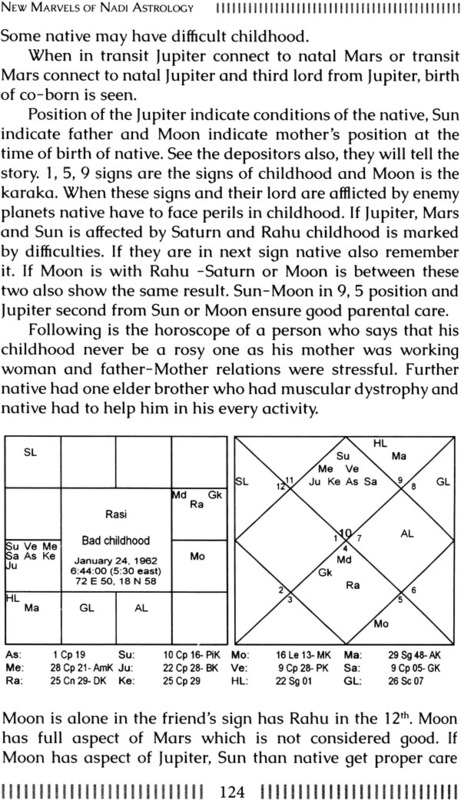 Saptarishis Astrology's Nakshatra series has established Nakshatra's effects on native's life, but what about others? Do you know Nitya yoga (Vishkumbha) should be examined before you venture to speak about health of the native? 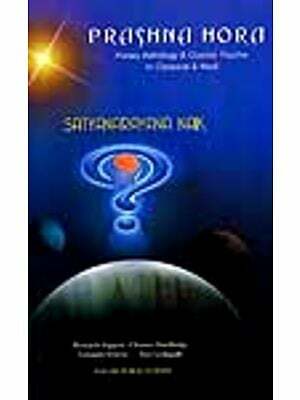 I thank Saptarishis Astrology and my guru Sunil John for publishing this book. I have never seen an astrologer who asks you "tell me, where is your Saturn" and gives you 21 predictions (sorry, facts of your life as he never predict) within a span of 10 minutes. I also thank Mr. Ameet Kamdar who constantly pushed me to write this book. I also thank my family members who bore my craze of astrology and allowed me to use their share of my time to write this book. Rules in this book are to give snap shot predictions. 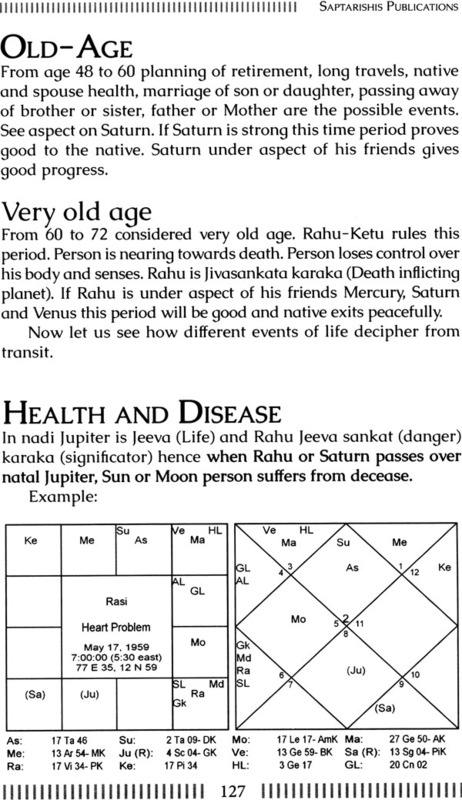 Predictions given by Rishis from Palm leaves narrate- the full story of one's life. My effort is to develop a method which quickly elaborates the overall life of the native with very important and crucial events. This is my first effort towards it.